According to James Martin, there’s not nearly as much levity in the church as there ought to be. Christians are too prone to put on grim faces at all times in order to show they know how serious the spiritual life is. But a full life, indeed a full spiritual life, must involve laughter and joy. 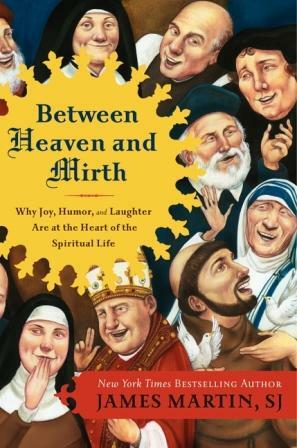 Such joy, he says, is “a deep-seated result of one’s connection to God.” In this book, Martin looks at how and why people of faith (mostly Christians, although he speaks of other faiths as well) can and should embrace levity. He offers examples of humor in the Bible and in the lives of believers past and present. He examines scriptures that show the importance of joy. And he tells a few pretty decent jokes along the way. Martin, a Jesuit priest, writes in a practical and easy-to-follow style. He logically lays out his arguments, provides examples and supports, and addresses readers’ likely concerns, always seeming to have an eye to making sure readers can see where he’s coming from. It’s a style I liked very much when I read Martin’s earlier book, The Jesuit Guide to (Almost) Everything, but it held less appeal for me here. I think, though, that’s because he’s addressing a problem I’ve been fortunate enough not to have encountered much. I’ve had plenty of unpleasant experiences in the church, but humorlessness and lack of joy is not among them. The joyless people I’ve known in the church have, fortunately for me, been the exception, rather than the rule. 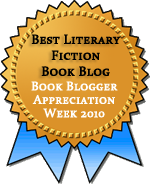 That’s not to say that this book doesn’t have value or that I didn’t enjoy reading it. It does, and I did. It just didn’t offer me much in the way of new perspectives or support me in issues I’d been struggling with. And at times I thought Martin was working too hard to make his points. He says that repetition is part of Jesuit teaching and I know that it can be part of good writing, but sometimes it feels like padding. There were some bits that I really liked. Given that this is a popular, not scholarly work, I was very impressed that Martin went to the extra effort to footnote his sources and include a good index. That’s a small thing, but it’s important to me. I was also glad that Martin offered a good summary of the daily examen, a five-step prayer in which you look back over the day. I love this practice, but it’s not something I consistently do as much as I’d like. I end up wallowing in my problems when I get too reflective, but one of Martin’s points is that the examen can help you cultivate gratitude. I suppose it’s a matter of where you spend your thoughts when you go through the steps. Do you spend more time on the gratefulness step or in considering your sin? Perhaps spending more time on the gratefulness would help me avoid wallowing in my mistakes. His summary was an encouragement to pick up the practice again. Our life grants us ample opportunity to laugh at ourselves, freely and joyfully. We really need to take ourselves lightly, or we would crack up. Our life is built on self-knowledge, coming to recognize our own “woundedness,” so that we may see our desperate need for Christ’s mercy. One monastic author, paraphrasing St. Bernard, puts it this way, “God does not want my virtue. God wants my weakness.” This growing insight into my weakness, what we often refer to as “bitter self-knowledge,” engage with compassionately, allows me to see that fragility is the gateway to Christ’s mercy. When I notice my overreaction to the situation, when I notice that I am stuck in a judgmental thought, an angry thought, or a desire to lash out at a brother who has offended me, I try to recognize my foolishness and laugh or at least smile to myself and ask for mercy. For when I get a sense of my sinful folly, then I am more available to Christ’s mercy. I like that idea, and it makes me think a little of Martin Luther’s saying (which appears as an epigraph to C.S. Lewis’s The Screwtape Letters), that “the best way to drive out the devil, if he will not yield to texts of Scripture, is to jeer and flout him, for he cannot bear scorn.” Perhaps the best way to ensure that my own errors don’t have power over me is to laugh at them. I’ve always loved that story about Teresa of Avila! Humor in religion charms me to pieces, because it can be rare (but shouldn’t be!). I also love that story about poor old St. Lawrence getting roasted over a fire and telling the people doing the roasting that they could turn him over because he was done on that side. I’m sure it’s apocryphal but aw, it made me love St. Lawrence forever. Martin told that St. Lawrence story, too! He had lots of good stories about saints and popes and other religious people making wisecracks like that. Archivists claim St. Lawrence as their patron saint, because he was the keeper of the treasures, though I think unlike him many of us would give them up in the face of the grill! I’ve seen Fr. Martin on the Colbert Report, and someone gave me a copy of this book after hearing him speak on it, but I haven’t read it. I can’t imagine staying strong and cracking jokes in such a situation! I am in the mood for an engaging spiritual read (and it is almost Advent. ), but…this sounds like it would fall short. What I actually want is a Kathleen Norris that is wonderful like A Cloister Walk and not terrible like Acedia and Me. Maybe a Marcus Borg? It sounds like you preferred The Jesuit’s Guide to [Almost] Everything? I liked this fine–there were some really funny stories in it–but I liked the Jesuit’s Guide better. Funny that you mention Marcus Borg, though, because my church book group is reading the book about Christmas that he cowrote with John Dominic Crossan in December. I just got my copy but haven’t started it yet. Have you read any of Madeleine L’Engle’s Crosswicks Journals? Those are some of my favorite spiritual books, and I think of them as being similar to Kathleen Norris’s books. I loved this book and his earlier book “My Life with the Saints.” I especially enjoy following him on Facebook. He’s got a great post nearly every day. I’ve heard such great things about My Life with the Saints, and he shares good stuff on Twitter, too.